On August 22, textile major Welspun India witnessed a big crash on Dalal Street. Its US-based client, Target Corporation, announced it was terminating business with India’s largest home textile exporter, alleging that it had used another variety of cotton instead of Egyptian cotton in the production of sheets. Target sells luxury bath and bedding products under the Fieldcrest brand in the US. Reacting to the news, shares of Wel-spun India tanked and the company’s market capitalisation declined by more than Rs 5,000 crore that week. Share trading was suspended for two consecutive sessions and Welspun had to arrange a conference call with investors and analysts to clarify its position. “In the manufacturing process, we source a lot of raw materials, such as cotton, cotton yarn or greige fabric, from various vendors. We, thus, want to revalidate all our supply processes and systems,” Rajesh Mandawewala, group managing director, Welspun, said during the call. Welspun has now appointed Ernst & Young to audit its supply systems and processes. The controversy has spurred other US-based retailers, such as Walmart and Bed Bath & Beyond, to investigate cotton products sourced from the company. Though Welspun has not admitted to substituting Egyptian cotton with other varieties, the incident hints at rampant mislabelling and counterfeiting in the industry. In March, the Cotton Egypt Association, the world’s only trademark and licensing authority for the commodity, tested home textile products labelled as Egyptian cotton and found that around 90 per cent of the products did not contain the premium cotton variety at all. Welspun was licensed to use the Egyptian cotton logo too and the Association has now launched an investigation following the Target case. Counterfeiting results from the lack of tools to verify the authenticity of Egyptian cotton. Cotton Incorporated, a US-based industry-funded body, says there is no physical test to determine the authenticity of cotton products once the fibre is converted into yarn. 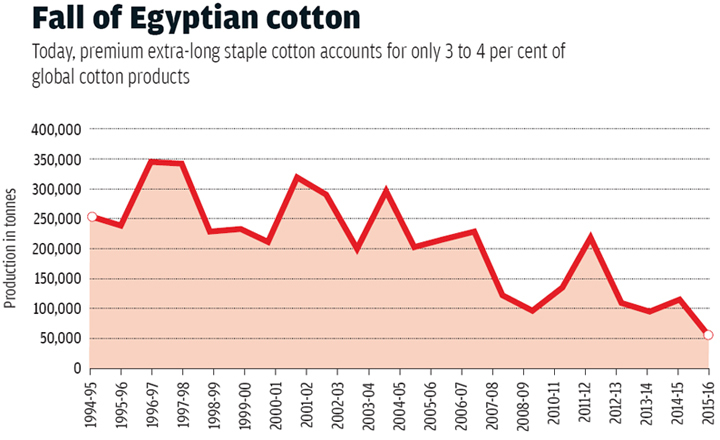 But agencies like the Cotton Egypt Association have turned to DNA testing of cotton products. After years of experiments, Mohamed A M Negm of the Interregional Cooperative Research Network on Cotton for the Mediterranean & Middle East Regions and Suzan H Sanad of the Cotton Research Institute, Egypt, have developed the CTAB (cetyl trimethylammonium bromide) method to extract DNA from Egyptian cotton fibres throughout the supply chain, from farming till the finished product. The isolated DNA is then used to identify varieties of cotton, thus establishing the authenticity of the product. In April, US-based company Applied DNA Sciences introduced a DNA authentication technology which can identify premium extra-long staple cottons that have been “blended” with shorter staple cotton, according to company claims. But it is still early days for the technology. “There are only about half a dozen laboratories across the world which can conduct such DNA tests with precision,” says K R Kranthi, director, Central Institute for Cotton Research, Nagpur. “The nuclear DNA in the fibre gets degraded with various stages of processing of the fabric. It is challenging to find out the level of contamination.” With gaps in testing, Egyptian cotton fakes continue to flood the market. The stakes are high. Egyptian cotton (Gossypium barbadense), a product of the country’s moderate climate and fertile soils of the Nile basin, is considered as the finest variety of cotton. Fabrics made of its extra-long staple (ELS) fibre are softer, more durable and often fetch the highest prices. “With increased global pressure to produce at the lowest cost, much of the ELS cotton manufacturing and final assembly has migrated to other countries, mainly China, India, Portugal, and Pakistan. The incentive to substitute lesser quality Upland cotton in place of the premium ELS cotton is high and opens the door for mislabelling,” says Negm. Declining supplies of Egyptian cotton are to blame for the passing off of other cotton varieties as Egyptian. In the 1980s, Egypt grew cotton on as much as 500,000 ha of land per year. But the area under cotton production fell to 223,000 ha by 2000-01, according to the US Department of Agriculture (USDA) (see ‘Fall of Egyptian Cotton’). Negm says that currently, only 55,000 ha of land is under Egyptian cotton cultivation. Correspondingly, the production of Egyptian cotton has reduced from 345,000 tonnes in 1996 to an estimated 45,000 tonnes in 2016. 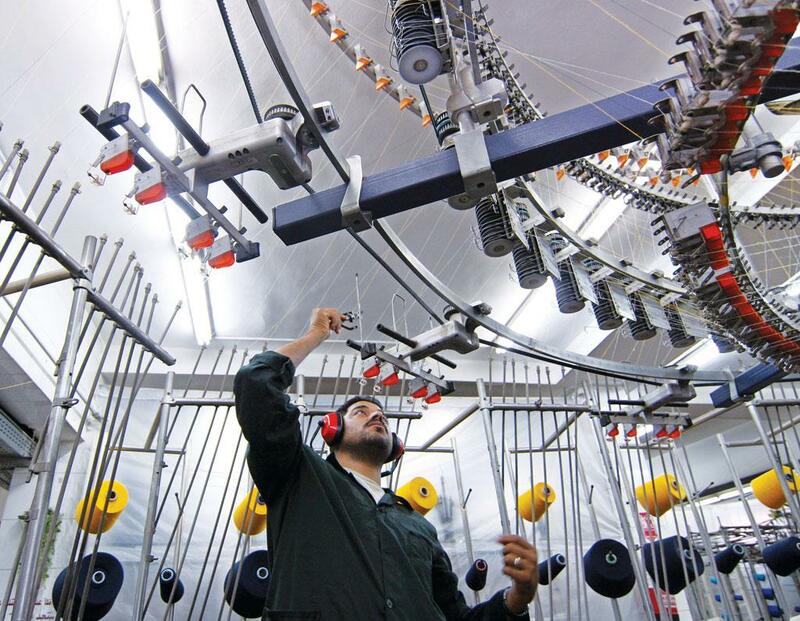 “There is decline in cotton production in Egypt because farmers prefer to grow other summer crops such as rice and vegetables which earn higher profits,” Negm says. Egyptian cotton is a long duration crop as compared to other varieties. It is highly susceptible to pests and depends on specific sowing, growth and irrigation conditions which are not available everywhere. The yield is almost half as that of other varieties, explains A H Prakash, project coordinator and head at the Coimbatore station of the Central Institute for Cotton Research.Though Egyptian cotton commands a higher price, the premium is not sufficient to make up for the lower yield, he adds. The slump in Egyptian cotton production has also occurred in other countries, including India, China, Pakistan and Brazil. Global production has decreased by 18 per cent to 21.3 million tonnes in 2015-16, according to Negm. A USDA report states that the drop in the production of Egyptian cotton is mainly due to changes in consumer preferences and new technologies. It explains that over time, consumer preference has shifted to garments which require short- or medium-staple cotton such as denim and T-shirts. This shift in demand has overtaken the demand for clothing and bed sheets made of extra-long and long-staple cotton varieties. Such decline in Egyptian cotton production and slow technological advancements in counterfeiting detection methods continue to threaten one of the country’s most popular specialty products.